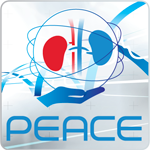 PEACE (PrEvalence of Acute and Chronic kidney disease treated by renal replacement therapy in the ICU Environment) is an ESICM prospective international, multi-centre, prevalence study on the epidemiology of the use of renal replacement therapy for ICU patients who have acute kidney injury and chronic end stage kidney disease. PEACE will involve assessment of the prevalence of severe AKI (defined as KDIGO class 3) and CKD (defined by treatment with renal replacement therapy (RRT)), in ICU patients, present at time of the study inclusion day(s). This will provide information regarding current international practice and will inform with regard to further studies involving patients with AKI as well as work directed at delivery of renal replacement therapy. Assessment of the prevalence of severe AKI (defined as KDIGO class 3) and CKD (defined by treatment with renal replacement therapy (RRT)), in ICU patients, present at time of the study inclusion day. Assessment of modalities of RRT used for treatment of AKI. Assessment of indications for initiation of RRT currently described in literature. Assessment on who is performing RRT. Assessment of severity of illness at time of data recording. Assessment of renal outcomes and ICU, hospital, 30-d, and 60-d mortality. Data collection occurred on one of three days (March 25th, April 22nd, June 17th 2015) with patients being followed up to 60 days. Recording of prevalence of CKD-RRT at time of the index study day(s), and AKI stage 3 (according to KDIGO) including AKI-RRT during ICU stay. A basic dataset is collected prospectively on all patients satisfying the criteria for inclusion present in the ICU on the index date(s). A more detailed dataset will be required for those receiving RRT or requiring RRT during their stay. The data is owned collectively by the PEACE investigators. Individual site data will be co-owned by each participating centre, and they will be given access to this data for any scientific purpose upon request to the PEACE Principal Investigators. No. Participation in the trial is completely voluntary. This study will provide important data on the disease burden of AKI requiring RRT. Results from the trial will be published by the PEACE nominated writing Committee. Each participating centre with its lead investigator and national societies/networks actively supporting the study will be named as a collaborator on the published manuscript. How do I access the eCRFplatform ? The access to the ecRF is still open registered sites for follow-up data to be included. If you have additional questions regarding PEACE, please write to peace@esicm.org.